Inspired by this week's winning sunset silhouette, here is a shot I took last week while cycling around a local lake, Bde Maka Ska. 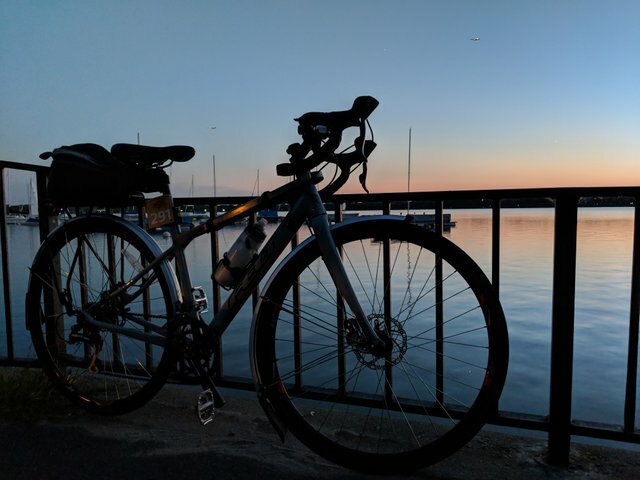 We were riding home after enjoying dinner beside Lake Harriet, enjoying the evening views along the Chain of Lakes in Minneapolis, Minnesota. I told my S.O. significant other that I wanted to stop for a sunset photo shoot. He was inspired to take creative pictures of his bike, too. That is super inspiring @mininthecity! Just looking at the picture causes wanderlust.